The Lower Ards Branch of the DUP held their last meeting before the summer break in Ballywalter Orange Hall. 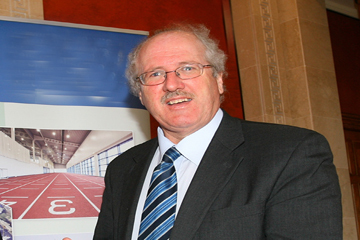 Strangford MP Jim Shannon addressed te Lower Ards DUP branch meeting. “It has been a successful year for the DUP,” said special guest former Mayor of North Down, Wesley Irvine, as he outline the position for the amalgamation of both North Down and Ards Councils which make up the Old North Down Constituency that Jim Kilfedder represented at Westminster so the relationship is one that has been there before. No decision has been taken yet on where the new council office will be , but it has to house 40 councillors and the location is not of the utmost importance – the most important thing is that the new council is able to represent the views and meet the needs of all its new constituents from Portaferry to Carrowdore and from Killinchy to Ballygowan.